If your current roof is old, rusty or leaking, then it’s crucial that you consider restoring or replacing it before your property suffers from water damage, or you put yourself and your family in a potentially hazardous situation. Apart from that, replacing your roof also comes with a range of benefits including broadening its visual appeal, increasing its property value, enhancing its insulation abilities and giving you protection from the elements. Here is a guide to choosing a roof for your home. Metal roofs across Brisbane often take a beating, especially during a big thunderstorm, which is why it’s important to choose a roofing material that is not only durable and watertight, but provides protection, comfort and thermal efficiency. Metal roofs also look fantastic, they’re cost effective, and they come in a wide range of colours. Two of the most respected steel roofing suppliers in Australia are Zincalume steel and Colorbond steel, and Strongguard are proud to be supporters of both. Available from an extensive network of suppliers – like us! Zincalume steel’s design flexibility also allows for both traditional straight-roof sheeting and innovative curved designs – so your roof can be as individual as you are! In 2013, Colorbond steel also underwent one of the biggest updates of their steel colour palette in twenty years, increasing it to 22 colours. That means more choice for you! Why Should I Choose Steel Roofing Over Tiles? What If I Prefer Tile Roofing? 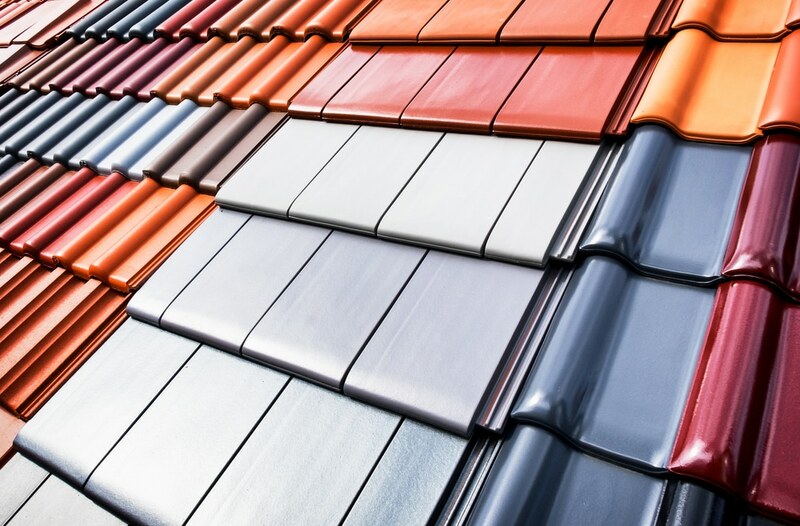 Aesthetic flexibility – terracotta and concrete roofing can be left ‘unglazed’ which makes them slightly porous, and thus allows for the growth of algae or lichen that can add to the overall aesthetic quality of a roof without compromising its structural integrity. However, the big down side to tiles is that they can become brittle as they age and when this happens, roofs can begin to leek. And unfortunately sometimes there is simply no other option other than to replace the entire roof. Here at Strongguard we are experts at replacing damaged tile roofs with leading edge metal ones from Australian owned companies. That means you’ll get quality materials built to withstand the harshest of Brisbane’s weather conditions. If you’re shopping around for roofing contractors in Brisbane, it’s worth investigating whether they are equipped to remove asbestos as well. Due to the risks and hazards of asbestos, it can often be challenging to find professionals who are licensed and trained at asbestos removal. Working with asbestos can be tricky because it’s a brittle material, meaning that it often cracks, causing leaks and mould. In fact, many Brisbane roof repairers won’t work with asbestos and very few solar electricity specialists are prepared to install solar panels on an asbestos roof. Lucky we’re here! Do I Need Insulation in My New Roof? There is a range of insulation products available in Australia, and there are two types you can choose from. Bulk insulation acts as a barrier to heat flow between your home and outside, which keeps heat out of your home in summer and in your home in winter. Reflective insulation is most commonly used to keep homes cool in summer by deflecting radiant heat, and some insulation products combine features of both. The type of insulation you need will depend on factors like where you live, your home’s design, the material it’s made from and whether you need to keep in or out or both. Ask us what will suit your home best! Need some advice on the best roof for your home? Contact the experts at Strongguard today on (07) 3623 4422.